The speedboat involved in the crime was confiscated and moored at Victoria Pier. 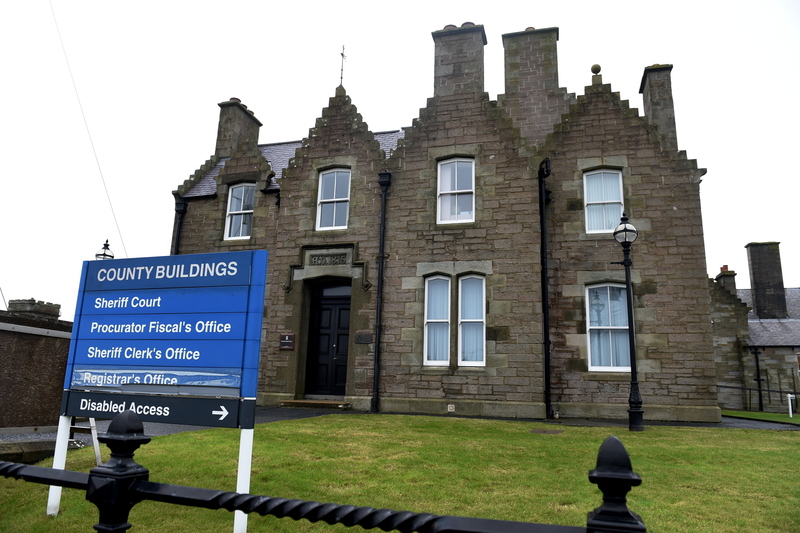 Mitchell Cross, 26, of Lerwick, was given four years behind bars when he appeared at Lerwick Sheriff Court this week. Alasdair Kelly, 28, of Sandwick, was given a prison sentence of two years and four months. Mackenzie said Cross had booked a one-way flight to Aberdeen on 16 December 2016 for the next day, booking himself back north on the freight boat. When he went on the freight ferry, he was seen with a now-full hold-all. The bag contained one kilogram of cannabis and four kilos of cannabis resin, Mr Mackenzie said. 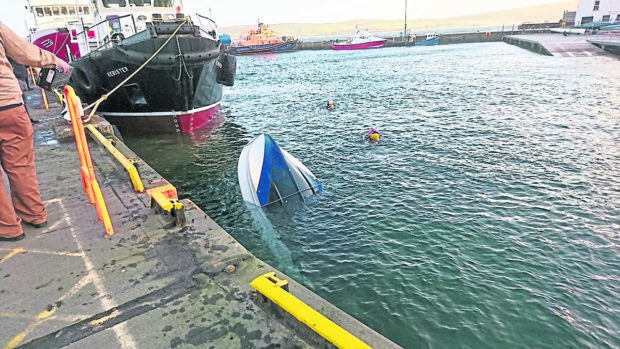 With the pair on contact on mobile phones, the bag was thrown into the water and picked up by Kelly in the speedboat, who then stopped off at the nearby Hay’s Dock – but the boat started to drift into the sea. He had managed to retrieve the hold-all – which also contained one of the buoys – and put it over a fence. Someone spotted Kelly “dripping wet” and making a “panicked” phone call to ask to hide at a friend’s house. Kelly’s defence agent Gregor Kelly said that his client was more of a “cog in the wheel”. He said given the suspicious money activity in the various bank accounts, it was likely that the operation was only the tip of the supplying. Detective Sergeant Bruce Peebles said: “Both men played significant parts in this elaborate, though ultimately botched drug sourcing and dealing operation. “Painstaking inquiries were carried out involving witnesses, CCTV, travel agencies, local businesses, forensic DNA examination, mobile telephony and national financial institutions, with all of the evidence pointing to the guilt of both the accused in this clearly planned and pre-meditated operation.